Aligning Human Resources with your mission: Part 2! 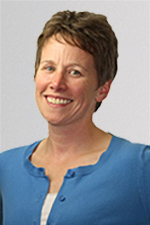 Jane Clark is a founding partner of Lake Effect HR & Law, Attorneys at Law. 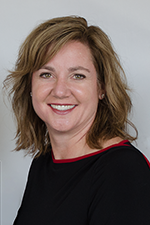 She has 20 years of human resources, labor, payroll and benefits experience as a law firm attorney, Director of HR at a multi-site Wisconsin company, and as Chief Operating Officer at a statewide comprehensive HR company. At the latter, she directed the human resources, payroll and benefits practice, with for-profit and not-for-profit clients located all over the country. Jane has deep HR, payroll and benefits experience, and is a frequent speaker is a frequent speaker on a variety of HR and employment law topics, including anti-harassment, wage and hour, independent contractor compliance, social media, employee management and performance, and much more. Over the years, she has partnered with established and start-up companies and non-profit organizations in various industries throughout Wisconsin and the U.S. to provide employment law services and stand-alone human resources services, as well as integrated human resources, payroll and benefits services. Jane is also licensed as a broker for health, life and disability insurance. 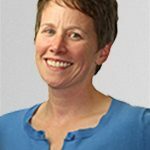 Since 2008, Jane has served as a Dane County (Wisconsin) Court Commissioner, a position to which she was appointed by Dane County Circuit Court Judge William Hanrahan. Previously, Jane was an attorney with Wisconsin based law firms Chernov, Stern & Burbach (Milwaukee) and Balisle & Roberson (Madison). She has extensive legal experience in diverse areas, including employment, family, real estate, appellate, and corporate law. During her career, Jane has advised clients on wide-ranging employment matters, from COBRA, ADA and ACA guidance to harassment and discrimination claims, from labor relations to wage and hour compliance. Jane lives with her husband, three sons, and adorable dog. Her husband is the Head Coach of the University of Wisconsin Men’s Rowing Team. 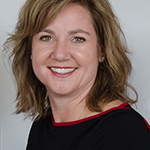 Tricia joined Clark & Gotzler in 2017 and recently joined the newly formed Lake Effect HR & Law, LLC, with over 20 years’ experience in the Human Resources profession. Prior to joining the Firm, Tricia held various in-house human resources positions in the hospitality, property management and financial industries and advised leadership of start-ups, small and large businesses and non-profits as a human resources consultant. Most recently, Tricia worked as a human resources advisor through her own consultancy business. Tricia is frequently retained by clients to navigate difficult employee situations, align HR processes with the organization’s culture, conduct sensitive workplace investigations based on harassment and discrimination, facilitate mediations to improve workplace relationships and train staff on management development and compliance topics, such as interviewing, performance management, professionalism and anti-harassment. Tricia is a certified trainer in DISC and Myers-Briggs.